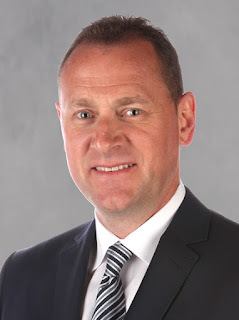 Along press row the last couple years, we've often wondered what "Brad Treliving's guy" would look like if the Flames general manager had an opportunity to bring in his own head coach. Well, that moment is nearly upon us and all indications are that "Brad Treliving's guy" will reflect the same guy he sees in the mirror every day. Much like how dogs often resemble their owners, seems the same theory applies for the GM and his rumoured choice of coach too. 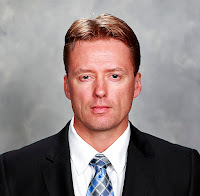 While there's nothing confirmed, the rampant speculation all week has been that Glen Gulutzan, former Dallas Stars bench boss and current Vancouver Canucks assistant, is on the verge of being named the 15th head coach (excluding interim titles) in Calgary Flames team history. Glen Gulutzan to be hired as Flames new head coach as early as Thursday. Have been told to "bet on it" that Flames will name #Canucks assistant Glen Gulutzan as new head coach. Now to be clear, in suggesting Treliving sees a little of himself in Gulutzan, it's not physical appearance. At 6-foot-4 compared to 5-foot-10 for the stockier Gulutzan, these two aren't twins any more than Arnold Schwarzenegger and Danny Devito were. The similarities are in their paths to the NHL. Much like Treliving's long, winding journey to the NHL that included seven seasons as President of the Central Hockey League and another five years as an executive in the Western Professional Hockey League, Gulutzan has also put in his time in the lower minors. In 2003, he was named GM and head coach of Las Vegas of the ECHL. As is typical of teams in leagues like that, he did a little bit of everything and worked some awfully long hours. Eventually while he was in charge, the Wranglers became an affiliate of the Calgary Flames -- an affiliation agreement he negotiated with then-Flames GM Darryl Sutter. He also won there a lot, amassing a regular season record of 254-123-56. While he never won a league championship, he made the playoffs in five of his six seasons, going multiple rounds in each of his final four years including 2007-08 when his club lost in the final. In this video profile, Gulutzan says that stint in Las Vegas taught him a lot and opened up connections in the NHL. But the similarities don't end there. They also accrued similar amount of experience in other NHL organizations before arriving in Calgary. In his last stop before being hired by the Flames, Treliving spent seven seasons with the Arizona Coyotes. His front office roles included being the GM for their AHL team. Gulutzan has also spent the past seven seasons elsewhere in the league. He spent two seasons as head coach for the Stars AHL affiliate in Texas (87-56-17), which included a trip to the Calder Cup final in 2009-10. He spent two years as Dallas' head coach (64-57-9). For the past three seasons, he's been an assistant coach with the Canucks. Going back to their playing careers, both were Western-Canadian kids -- Treliving born in Penticton, Gulutzan raised in Hudson Bay, Saskatchewan. Both also had overlapping careers in the WHL. Treliving, a defenceman, had stops from 1987 to 1989 in Portland, Brandon, Spokane and Regina. Gulutzan, a centre, suited up from 1987 to 1992 for Moose Jaw, Brandon and Saskatoon. For those of you curious, no, they did not play for the Wheat Kings in the same year. Heck, both are August birthdays too. Gulutzan will turn 45 on Aug. 12. Six days later, Treliving will turn 47. To get to know Gulutzan a little bit better, have a listen to his talk on developing young defencemen from June 13, 2015. At a coaches symposium in Regina put on by the Saskatchewan Hockey Association, Gulutzan was one of the featured speakers alongside Dave Tippett, Willie Desjardins and Dave King. While it's an hour long (although very interesting), even just watching his introduction in the first few minutes gives you a glimpse into a guy of modest upbringing, who grew up in a small fishing town of 1,500 in Northern Saskatchewan -- his dad a school teacher, his mom a hairdresser. 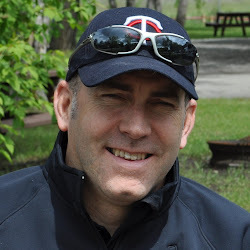 While frequently heard descriptions of Gulutzan include teacher (got a degree in Education from the University of Saskatchewan) and career coach, he also considers himself a lifelong student, eager to sponge up information from others. “Learning from somebody else, without the pressures and the perils that are in this occupation, is a crucial thing for a coach,” Gulutzan told reporter David Ebner of the Globe and Mail in this piece from November 2013. He was explaining why of the options available to him after being dismissed by Dallas, which included head jobs in the AHL, he chose to be an NHL assistant in Vancouver under fiery John Tortorella. “For me, with John, it’s just the way he handles the room. The little things about the way he handles a group, how he doles out responsibilities, how he doles out criticism. Watching another guy do it certainly makes you better,” Gulutzan had added. From that same article, Tortorella praised Gulutzan. By the way, the other assistant in Vancouver when Gulutzan worked that one season under Tortorella? Mike Sullivan, who just hoisted the Stanley Cup to culminate a wildly successful start to his second NHL head coaching gig. Sullivan had previously coached the Boston Bruins for two seasons. In reflecting on his first NHL head job in this piece from January 2015 by Jim Jamieson of the Vancouver Province, Gulutzan noted the inevitable learnings that come from doing something the first time. "It was a great experience for me. What I didn’t have — and I think that most coaches should have, especially if you haven’t played in the league — is experience in the league. There were more things that I did well, but some things that I would change. I think the only way you can get to that point is to live it or be an assistant for three or four years in the league. With more experience I probably would have done some things a little different, but that’s what experience is. That’s not so much about dealing with players, it’s more just being in the league." Not to be forgotten is the Flames need not just a head coach, but an associate (or assistant) coach also. When we spoke earlier in the week, Treliving shed some light on the timing of that hire. "Obviously for me, No. 1 is to get the head coach in place. Get that one done first," says Treliving, emphasizing that his priority all along has been getting that hire right, not just getting it done fast. Next will be the hiring of another coach to replace the departure of associate coach Jacques Cloutier. While Treliving noted that the second hire to join assistant coach Martin Gelinas and goalie coach Jordan Sigalet won't be made at the same time, it shouldn't take too long as Treliving has been keeping his eyes open along the way for fits. "I wouldn't say it's been on a parallel path by any stretch. But we've kept our fingers in the market and there are people I've had conversations with to get an idea of where they're at, to let them know our timing and where we are in our process. There are people I think may be a fit for us," he says. Meanwhile, assistant coach names have been flying around like wildfire lately. If it seems there's been an excess of movement among these second-in-commands this off-season, it's not your imagination. "It's been an interesting summer in that there hasn't been a ton of head coaching movement throughout the league -- on a comparative basis -- but there's been an awful lot of changes on the assistant side," says Treliving. While it's the GM that will be doing the hiring, he notes the new head coach will definitely have a say in who it is. "When that coach is in place, he and I will sit down and I want his input and his thoughts and very, very much his involvement in this," said Treliving. That type of information gathering is how Treliving operates and not just in regards to building out his coaching staff but also when it comes to daily personnel decisions. "There will never be a day, as long as I'm here where a coach will walk in and notice that there are three new guys sitting in the dressing room. Oh, who are the new boys?" Treliving says. "You want to have a relationship that is very much collaborative and inclusive. I want opinions and I want thoughts. Ultimately, the coach is going to have information and insight on certain people that I may not have." A coaches role at the draft is minimal if they have any role at all. This is the weekend that the scouts and GM take centre stage after a year's worth of preparation. However, it's all the other things that go on during draft weekend where having your coach in place can be especially helpful. "The falsehood out there is you need a guy by the draft for draft purposes. That's not necessarily the case. But lots of stuff goes on at the draft outside of the draft itself, especially leading up to it, that you do want your coach involved with -- if you can," says Treliving. "When you start talking about the draft and the time leading up to it, that's when it's always good to have your coach in place," says Treliving. "As you're having discussions on players, getting opinions, you can get them to do some homework on some guys if they've got history with certain people. "Plus, that weekend is a great time to meet the rest of our staff, begin their planning for the season and start talking about different things." If in the next head coach, Treliving does indeed find a guy that in addition to having a similar background, experience and work ethic to him, also shares the same philosophy to how you play the game, then you will have a GM-coach relationship that should really prosper. While there were signs throughout last season, it became evident after the season ended that there were a couple differences in opinion between Treliving and Hartley, especially around the team's style of game. By bringing in his own guy for the first time, this is Treliving's chance to put his stamp on this team more than ever before. After this hire is made official, this will truly be his team and the expectation level as well as accountability will only increase. But he wouldn't want it any other way and if his coach hire turns out as successful as many of his personnel decisions he has made since settling into his GM role, the club should be in good shape moving forward. I am glad Martin Gelinas was retained. He is, in my opinion, an up and comer and may be behind an NHL bench himself as the head coach, some day. There were other people I'd have rather seen the Flames hire as a head coach, but if Gulutzan is Treliving's choice, it's difficult to criticize most of Tre's decisions since he's come aboard. A new head coach will be good for Gelinas. Learn from someone new. Different approaches, techniques, etc. Better prepares you for taking that next step. The ol' French Connection with Hartley, Cloutier and Gelinas was a tight group but ultimately I think Gelinas will benefit from the change. Very good take. Initially I was sceptical but the more I read about Gulutzan, the more I think he will be a very solid hire who can grow with the young players and GM. I think bringing in the right assistant coach will also be important. To be honest, I think it's hard to assess coaching. So often, the best coaches also have the best personnel. Co-incidence? A lot of what the GM is looking for is hard to judge from afar. You need to be in the dressing room. I'm talking about attributes like ability to communicate with players, etc. But the premise of doing something, failing, learning what you could do better, than getting another chance and being much better at it. That's only natural and it applies in every facet of life. In that regards, I'm sure he'll be just fine. This is truly an exciting off season for the flames! I'm really looking forward to what everything will bring to next season. The Czech goalie signing was like the appetizer. The coach will be the start of a multi-course meal -- like at an Italian wedding. Another coach to be hired also, new contracts to be signed, the likely possibility of trades, free agency... goodness, what off-season? !